Following on from the earlier item, German News 1 – Porsche, here is part 2, all news relating to the German Endurance Championship and the Nurburging 24 Hours. With the Reiter Engineering Lamborghini Gallardo GT3 to be presented on February 23, at least one Gallardo will also be in the German Endurance Championship season full time; the Lambo-Racing car already received some international exposure at the FIA’s GT3 series presentation, where it represented the Lamborghini marque, being the only raceworthy Gallardo in existence at the time. 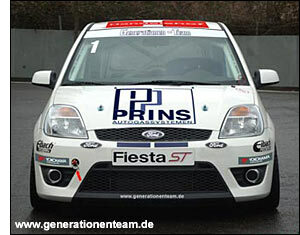 This four-wheel driven example is of course not eligible for FIA GT3 competition but has already proven its potential with a class win on the ‘Ring in 2005. 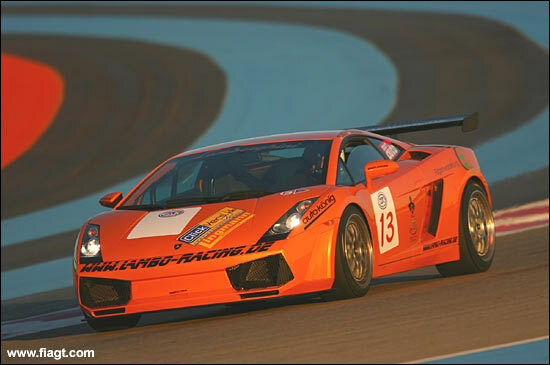 Another team mentioned in connection with a Gallardo is Raeder Motorsport, their V8STAR “Jaguar” is up for sale. The Mustangs won’t be the only Fords to (possibly) turn heads this year. Although visually perhaps not the most exciting type of cars, the 2000cc SP3 class is getting more competitive by the year; Claudia Hürtgen won the 2005 championship with a WTCC spec. (or at least WTCC spec.-derived) BMW 320; her race results well in the overall Top 10 have shown that with all the necessary trick bits, an outwardly humble family sedan can be a real threat to the GT supercars. Now stalwart Ford team Werner Sport will enter a Ford Mondeo RS for Klaus Werner himself and former WTCC driver Thomas Klenke. One of those “what if” projects that keep the internet chat communities busy during the silly season, the car was built as successor to the Focus currently used in WTCC, but did not see any competition following Ford’s decision not to get involved on a factory level. We can therefore assume that “the necessary trick bits” are in place, or available. Together with more conventional diesel-powered cars, the alternative fuels class keeps attracting more and more entrants. In reaction to this success, there will be two classes this year, for the first time splitting the non-petrol fuelled field into over- and under-2000cc cars. This provides more of an incentive to enter smaller cars such as the 190bhp (at only 930kgs), LPG-fuelled “Generationenteam” Fiesta ST that would otherwise have been up against the more powerful, but also heavier, turbo diesel entries. Volvo tuning specialist Heico Sportiv has developed a racing version of the turbocharged S40 T5 for the Speed World Challenge, and plans to debut a similar car in the Nurburgring 24 Hours with, among others, 20 year old American Jameson Riley behind the wheel. Riley drove a Volvo S60 for At Speed Racing in the 2005 Speed World Challenge, but parted company with the team mid-season. 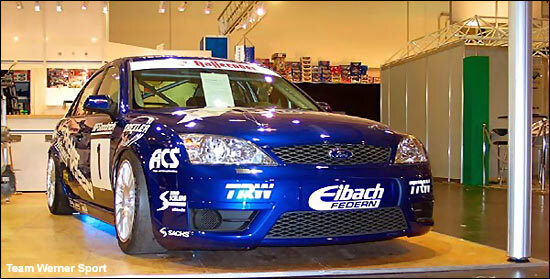 In the 2006 Speed World Challenge Touring Car Series, Riley Racing will campaign a Heico-developed S40 with support by Heico Sportiv North America (HSNA), and driven by Riley himself. 2006 will be the eleventh consecutive season of Nordschleife racing for Heico, beginning with the Volvo 850 T5 Estate in 1995. Back to the world of exotic niche manufacturers: the Wiesmann Roadster and GT models are inspired by classic front-engined sportscars such as the Austin-Healey, with modern BMW technology. A works-supported, 450bhp GT was quite successful, and popular with the ‘Ringside fans for its throaty exhaust note, in 2002 (below); now ex-DTM driver Jörg van Ommen has launched a team in conjunction with the RWTH Aachen University’s Formula Student outfit, Ecurie Aix. Taking Formula Student to the next level: together with van Ommen’s own team, the students will build a car for the Nürburgring 24 Hours, and also form part of the pit crew during the race. 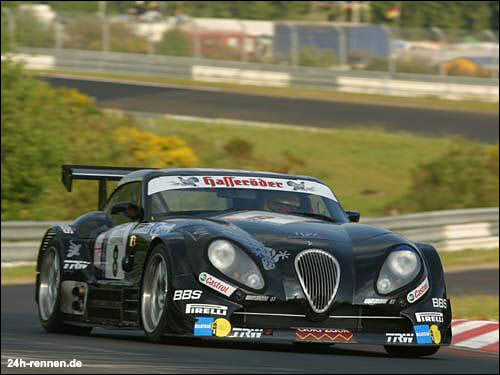 The 2006 German Endurance Championship officially kicks off with a pre-season test on March 18, a week before the first race.